Last week, we’d heard of a Lenovo Windows 8 tablet, the ThinkPad Tablet 2, which would run on an x86 Intel Atom processor, and be based on Windows 8 Pro. Now, it looks like Lenovo is working on a Windows RT tablet as well, thought to be an ARM variant of the 13.3-inch IdeaPad Yoga convertible laptop-tablet that Lenovo demoed at CES 2012. The ARM version, if nothing else, should sport better battery life. Lenovo is rumoured to be partnering with Nvidia to develop the tablet, using Nvidia’s Tegra 3 chipset (just like Microsoft with its Surface for Windows RT tablet). All three tablets, the ThinkPad 2, and the two (x86 and ARM) variants of the IdeaPad Yoga, are expected to release shortly after Windows 8 releases, on October 26. 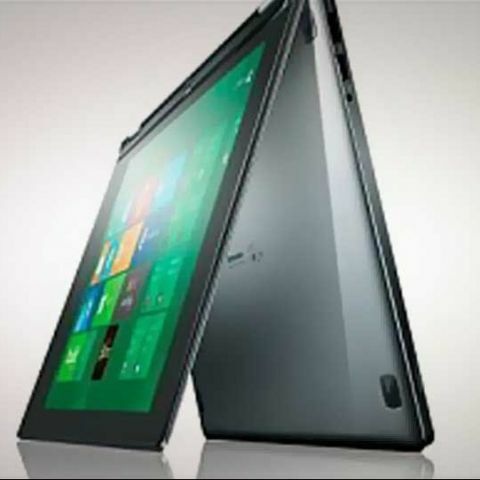 Check out our previous coverage of the Lenovo IdeaPad Yoga tablet earlier this year, here. Asus also announced an ARM-based Windows RT tablet (Tablet 600) at Computex this year, apart from the x86-based Windows 8 Pro tablets (Tablet 810 and Taichi-convertible notebook).